If you want to take a unique cruise vacation or are longing for a restful and relaxing vacation, then there is not anything more enjoyable than choosing from among round trip cruises that go to the Caribbean from Miami or Fort Lauderdale or take off to Alaska ports of call from Vancouver. You might also opt for cruise travel from Barcelona to countries along the Mediterranean or depart from San Juan and visit the islands in the South Caribbean. 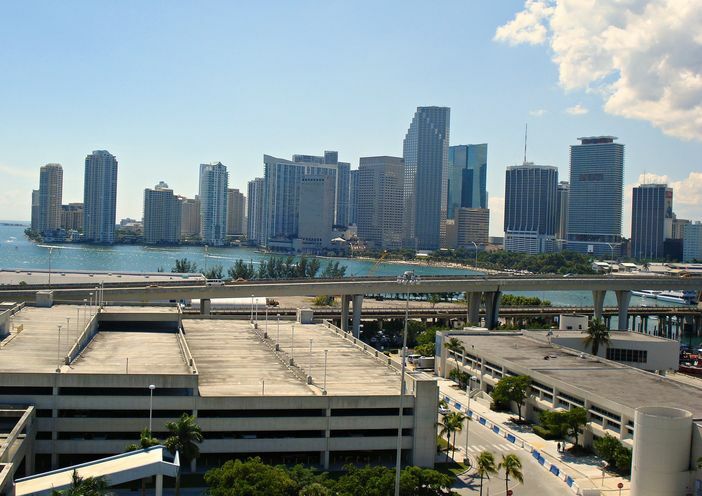 Miami is the most sophisticated departure point in Florida. If you want to embark on a shopping excursion before you take off on a cruise to the Bahamas or nearby islands, then you will have to stay in and shop in South Beach. Not only will you enjoy the various cafes and boutiques, you can also people watch as South Beach attracts top celebrities and some of the glamorous people in the world. Miami is your prelude to duty-free Bahamas shopping, especially with the number of Caribbean and Bahamas cruises from Miami that depart each day. Caribbean cruises from Fort Lauderdale are enchanting to take especially when you can initially spend time in the Floridian city. You won’t want to miss the round trip cruises that come in and leave the city as well as a visit to Everglades National Park – one of the unique public parks in the U.S. Located on Florida’s southern tip, the park is a home to the American crocodile and the Florida panther. Within the city itself, take the time to visit the Museum of Discovery and Science. Home to more than 200 exhibits, the museum also features an aerospace exhibit in an IMAX theater. Another departure port of round trip cruises, Vancouver hosts regular sea vacations to northern spots such as Alaska. This Canadian city, which is located due north of Seattle, is also home to the Canadian film industry. You will also find parks to visit that will welcome you with lush foliage in the summer months and pine trees and winter beauty in the chillier times of the year. It is not a surprise why trip planners and travel professional consider Alaska cruises from Vancouver to be idyllic and worthwhile adventures. A European cruises from Barcelona and Mediterranean trips from Barcelona, make this Spanish city the ideal spot from which to book travel to a specific European destination or to a locale where a temperate Mediterranean climate permits vacationers to enjoy the golden sands of the beach or find solace in a maze of charming and winding shop-lined streets. The departure point for cruise travel in Puerto Rico, San Juan plays host to round trip cruises that make their destination the Southern Caribbean. Cruise-goers like San Juan as their departure city as they can enjoy visiting Old San Juan first – a charming city escape that transports vacationers back to colonial times. Southern Caribbean cruises from San Juan are available throughout the year. If you are planning a vacation right now, why not visit two interesting locales, one followed by the other. Book cruise travel from any of the foregoing cities for a truly memorable vacation – an all-inclusive cruise adventure awaits for you and your family.